If you've ever been to Europe you've certainly heard and seen the saying, "Mind the Gap". 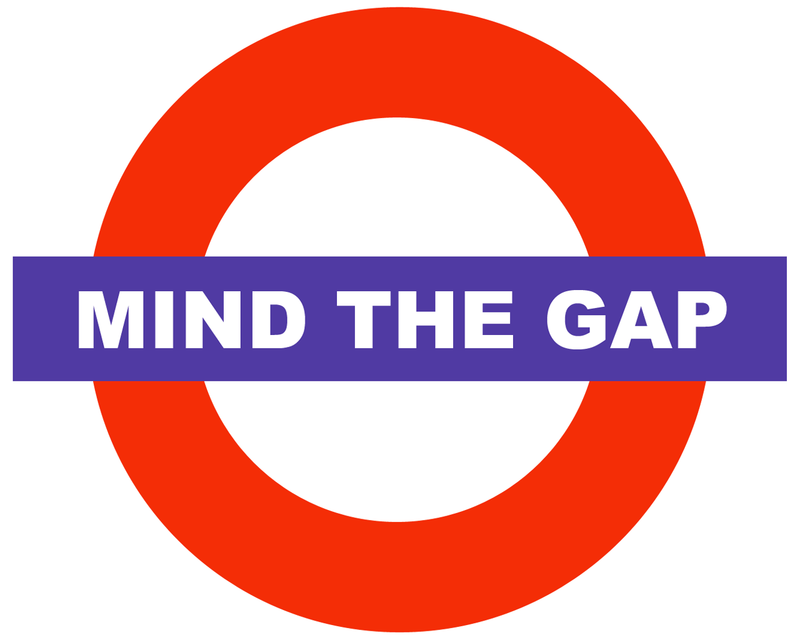 This weekend I felt like I was more or less getting on and off a train, "minding the gap" on each trip up and down the stairs! 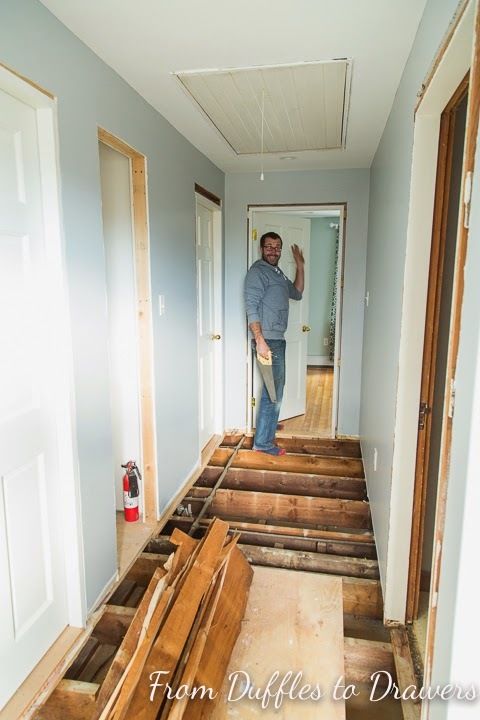 Andrew decided at 8pm on Thursday night that it was the PERFECT time to rip up our hallway flooring and start the process of replacing it. Yay!!! (insert sarcastic comment here). Since we finished painting the hallway Wednesday night, I had a "normal" upstairs for about 24 hours. 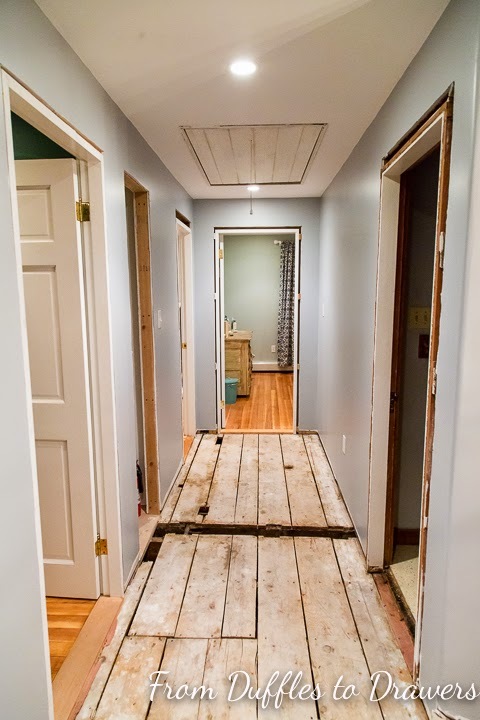 We decided over a year ago that we would replace the hallway flooring once we finished the walls and before we put up trim and finished off the linen closet. The floor is worn down, splintering & patched in. 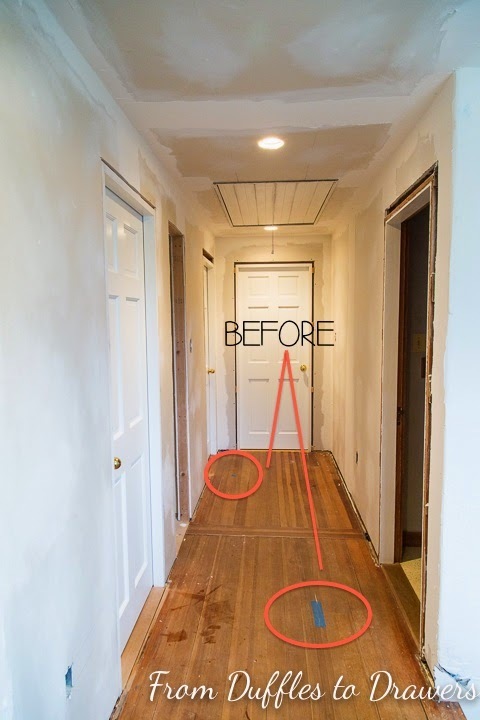 The stairs & landing are worth salvaging with some hand sanding & poly, but the upstairs hall has seen some serious abuse over the past 100 years. And not surprisingly so. Turns out our 100+ year old subfloor has just a few gaps and enough dust to start a time capsule. And speaking of time capsules, underneath the subfloor were the original pipes for the gas lighting of the house. How cool is that?! They must not have been in use long since the durable, inexpensive light bulb that we know today was introduced in 1908. This weekend Andrew made his weekly trip to our home away from home, Home Depot, and purchased 5 sheets of 1/2" plywood. 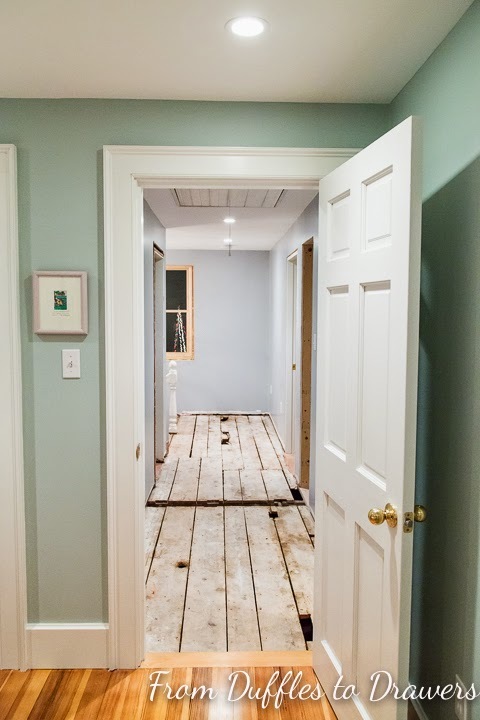 He created 2 layers for the new subfloor and I'd say it's much improved! 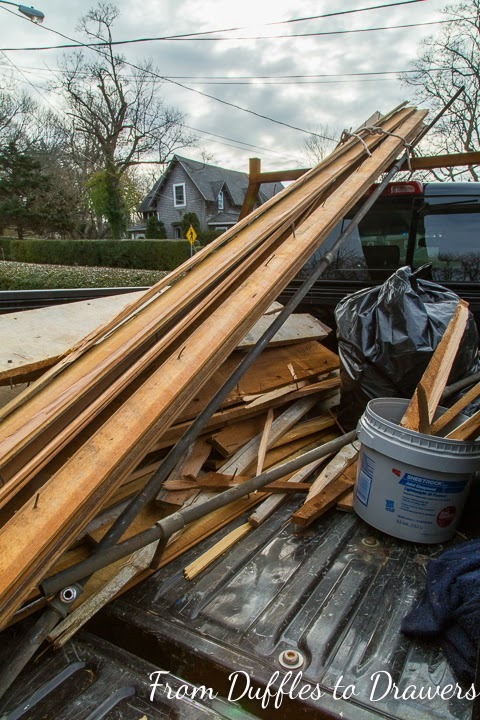 This money pit project cost us less than $100 - taking the old flooring to the dump, screws & plywood and more Budweiser:) Next step is to purchase the new flooring at Downs & Reader. 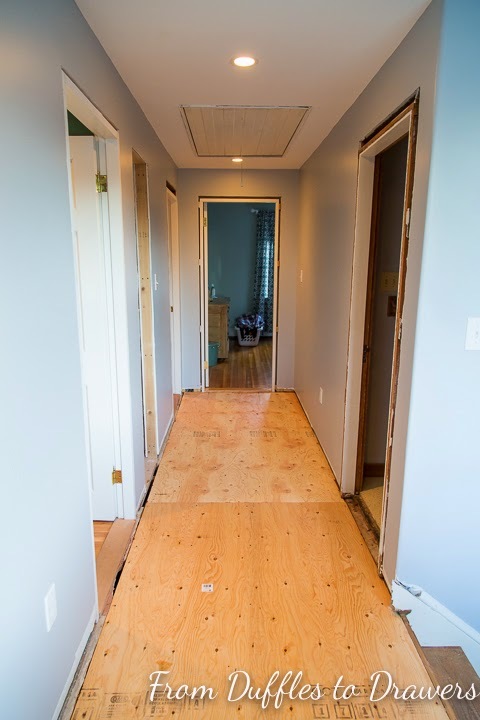 Be on the lookout for the new flooring reveal when we return from the holidays!